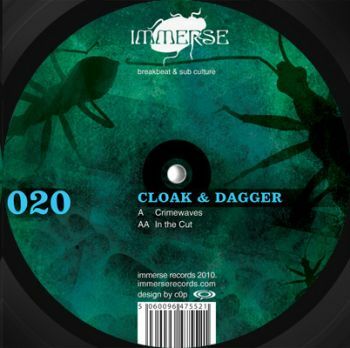 Immerse Records spread their wings and hook up with Tokyo based Cloak & Dagger for this stunning debut release. Bristol based Immerse Records are truly on fire at the moment dropping release after release of quality music that draws on the best of dubstep, garage, techno, electronic music and beyond to create a unique and eclectic output that defies simple genre classifications. 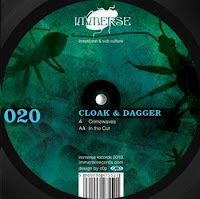 The recent incredible single from Late is now followed up with a release from a brand new artist, Cloak & Dagger. Cloak & Dagger is the work of one Evan Gach, a resident of Japan's capital city, Tokyo, Beyond this little is known about this new production talent but one thing is clear, he has an ear for great music as this inaugural release clearly demonstrates.